First of all, you have of course to arrive at your location. Ascona is located in the south of Switzerland so I took the train from my home via Lucerne to eventually arrive in Ascona. The village with only around 5’500 inhabitants has a good connection to the public transport and is also easily reachable by car. Our first stop was to relax in the Lido (Beach) next to the beautiful Lake Maggiore. The area was peaceful and the water incredibly beautiful. 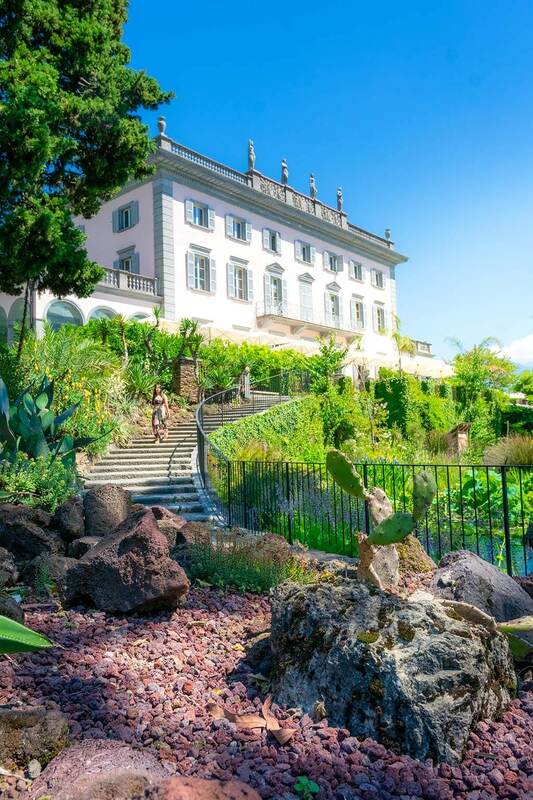 Ascona is certainly a perfect place to get some rest – that’s probably also one of the reasons why many Swiss and German people decide to visit Ascona every year. It was then time to have dinner! And we had a really special place to do this: In the Grotto Baldoria. This Grotto has a really special atmosphere and handles its business in the old school manner. Paying with cards or choosing fancy vegan dishes? Not in the Grotto Baldoria. But what you can expect here is absolutely excellent and tasty food – and especially huge portions. If you are able to have dinner in this Grotto without being full you are definitely someone that eats a lot! What makes the Grotto special is also that there are always pre-made dishes – that means you can’t choose what you want to eat – you will just get what they have. The food is absolutely delicious though and I couldn’t stop myself from eating more and more. I can personally highly recommend the Grotto Baldoria – and it’s more like a food experience than just a restaurant! Certainly one of the things to do in Ascona! After a dinner in the Grotto Baldoria, you will definitely like to have a short walk to burn some of the calories you just ate. Additionally, Ascona is simply a beautiful place, especially with its old town located next to the lake. We walked around, I took one or two images and we then went back to get some sleep for the next day. The first activity on Saturday was to visit the Brissago Islands – which I was already really excited about. 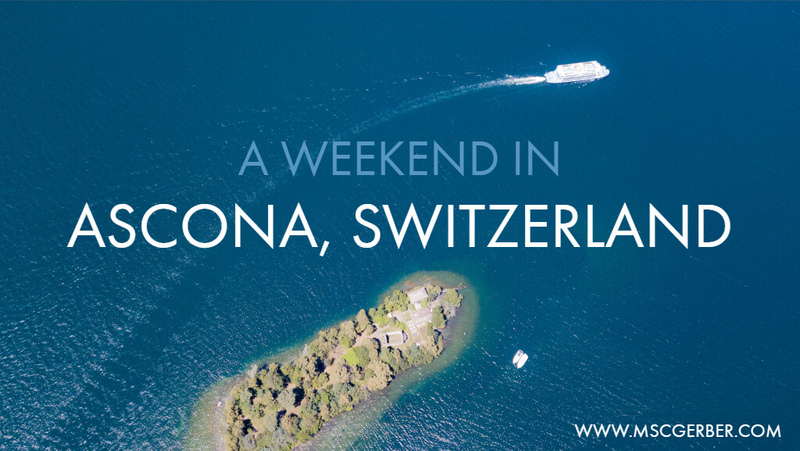 From Ascona, you can simply take a ship (that is part of the public transportation) to get there with a short ride. The island is home to a wonderful botanic garden, full of beautiful locations to hang out, stroll around or take some images. The islands were even more impressive when flying above them with a drone – as you can see on the picture. 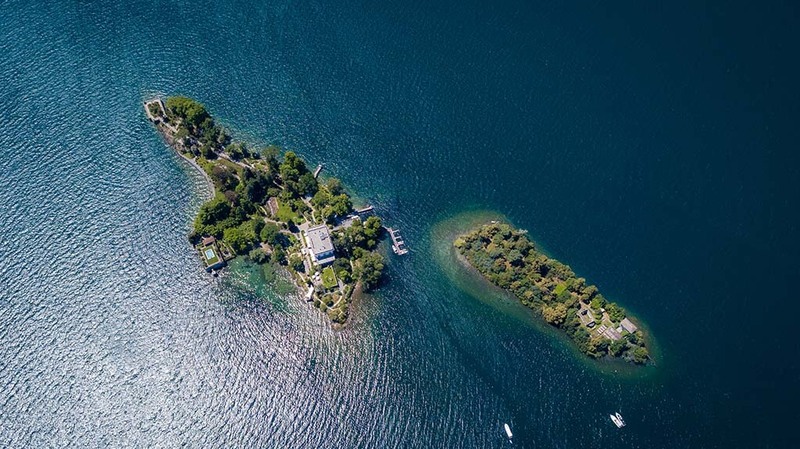 To me, the Brissago Islands are one of the things to do in Ascona, no matter how long you stay there. After our meal, it was time to explore the festival area itself. I’m not a regular listener of Jazz Music but the vibes there were just incredible! The Ascona Jazz Festival consists out of different live stages, all of them located in the promenade next to Lake Maggiore. According to the line-up you can choose where you want to be, dance, or just enjoy the music with your friends. Truly an inspiring concept with a perfect location for it. One artist was even playing on the street with his band – and some others were touching your soul with their voice. After a weekend full of great food, the beautiful lake sceneries, and the Ascona Jazz Festival it was soon time to head home. We enjoyed our last breakfast in the hotel and then left the lovely Ascona to get home. 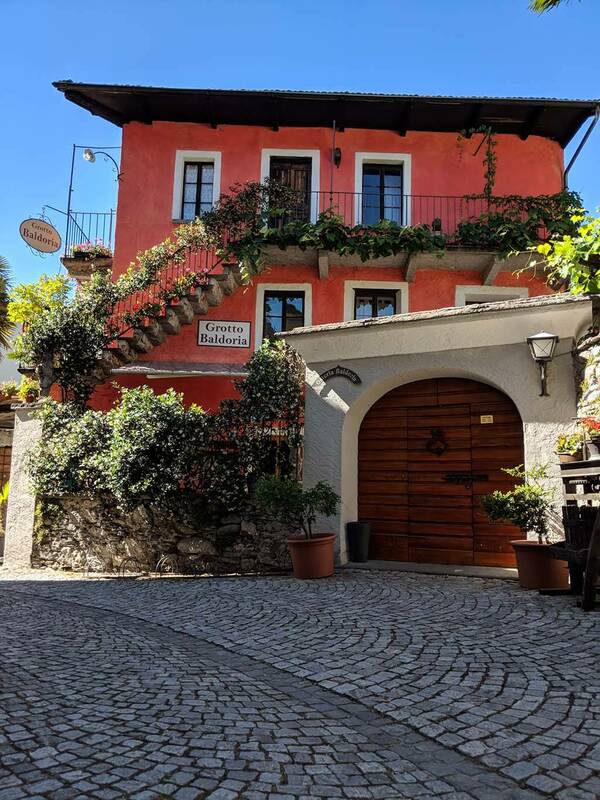 If you’re wondering on where to stay during your trip to Ascona, no worries: Ascona offers accommodation for every budget. You can find camping spots, middle-prize hotels but also luxurious places. If you plan to visit the Ascona Jazz Festival there is only one logical choice though: The Jazz Hotel Ascona, which is like the little brother of the Jazz Festival. For me, it was the perfect hotel in Ascona during my stay, with everything I needed – and most importantly: It has its own (Jazz) soul.